by Sherri Conklin, Eric Schwitzgebel, and Nicole Hassoun. Philosophy needs to diversify. Come join us at the Pacific Division meeting to tell us what departments can do to improve. Join the Demographics in Philosophy Project to help bend the long arc of history towards justice. A growing body of research shows that while the proportions of women philosophy faculty are increasing over time, women still only account for 25% of all philosophy faculty in the U.S. (Conklin, Artamonova, and Hassoun 2019; see also Women-In-Philosophy.org). Black philosophers account for only about 1-4% of all philosophy faculty (Botts et al. 2014). And disabled philosophers are underrepresented as well (Tremain 2014). These groups’ disproportionately low authorship rates in philosophy journals may partially explain the faculty findings – especially if failure to publish leads to a failure to gain employment, tenure, and promotion (Wilhelm, Conklin, and Hassoun 2017). For example, only 13% of publications in top philosophy journals are by women (Schwitzgebel and Jennings 2017), and fewer than 1% of authors in top journals are Black (Bright 2016). Another possible explanation concerns the “pipeline” into philosophy. For example, women and Black philosophers receive only about 32% and 5% of undergraduate philosophy degrees in the U.S. (Schwitzgebel 2017a, 2017b) and about 29% and 2% of PhDs (Schwitzgebel 2016). (Systematic data on other groups that are likely to be underrepresented are more difficult to obtain). Possibly, something about how philosophy is taught or how it is perceived in U.S. culture substantially influences the demographics of the major (Garfield and Van Norden 2016; Thompson et al. 2016). This is a problem from an epistemic point of view: Philosophy as a discipline profits from hearing voices from a variety of different backgrounds. Furthermore, to the extent that unfair exclusionary practices, whether implicit or explicit, may be limiting people’s career choices, it is a problem of social justice. Much has been done to combat the observed disparities. The British Philosophical Association, in collaboration with the Society for Women in Philosophy-UK, launched a Best Practices Scheme for improving departmental climates for women. The APA introduced a new initiative to diversify course syllabi through the Diversity and Inclusiveness Syllabus Collection. A number of philosophy diversity institutes were launched to help attract marginalized undergraduates to apply to graduate school. These programs include PikSi, UCSD SPWP, and COMPASS (among others – see the APA resource page on Undergraduate Diversity Institutes in Philosophy). Graduate students founded Minorities in Philosophy to promote student initiated change (mapforthegap.com). In addition, the Demographics in Philosophy Project collates and collects data to document the problem of marginalization in professional philosophy and to identify tools for counteracting it. In 2018, we initiated a broadly consultative project to identify inclusive practices for philosophy journals, beginning with a session on inclusive practices at the Pacific Division meeting of the APA and a series of blog posts from editors of leading journals (Hassoun, Schwitzgebel, and Smith 2018; Kukla 2018; Bilimoria 2018; Hetherington 2018; Hansson 2018; Moore and O’Brien 2018) and culminating in a list of potential best practices, posted here on the Blog of the APA (Conklin, Hassoun, Schwitzgebel 2018). But what can departments do to combat the disparities directly? We have some preliminary ideas about how to improve the situation, but we want to hear from you. 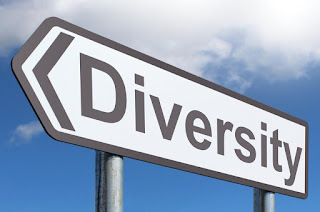 We would like to identify concrete suggestions for specific practices that can be implemented by departments to improve diversity without compromising their other goals. We are especially interested in hearing about successful practices. Give us your suggestions. Raise objections and concerns. Email us. And, if you’re in the area at the time, please come to our session on this topic at the Pacific APA meeting in Vancouver on April 18 (1-4pm). The session will start with a brief presentation on diversity in philosophy departments, but it will mostly consist of open discussion with a panel of representatives from sixteen well-regarded philosophy departments, who will bring their experience to the question as well as, we suspect, in some cases, their strenuous disagreement. After the session, we hope to partner with departments to collect more data on what works to improve diversity and to develop a toolbox of helpful practices. April 18, 2018, 9:00–12:00 a.m. Thanks to Kathryn Norlock and Michael Rea for help with this project. I'd be curious as to what (in general) attracts men to philosophy positions. And whether those things actually attract (in general, because there are always exceptions) women to philosophy? Or maybe it's like when Black Widow says 'That’s not a question I need answered' as the other male philosophers tug on a hammer? What attracts males to philosophy? Does it attract women but they get rebuffed? Does it attract them but having children hinders the intense career building that males often do? Or (in general) do other philosophical questions interest women but these questions are rebuffed by the academic system that focuses on another range of questions?? Important and difficult questions! I'm not sure I have any especially good insight into this, and I welcome your and others' thoughts.